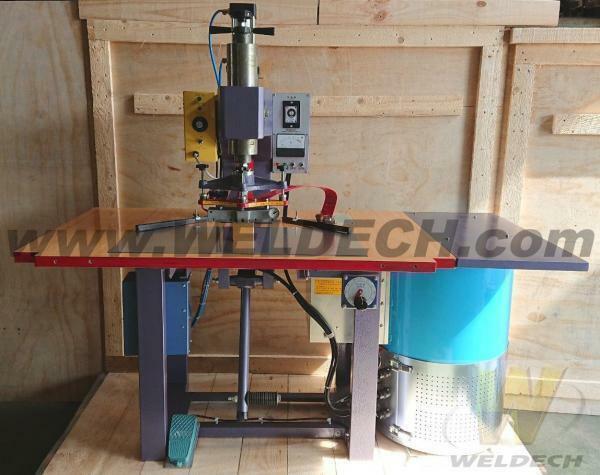 High Frequency Welding Machines(PWN-4000FASH, PWN-5000FASH) - Weldech Electric Industry Co., Ltd.
High Frequency Welding Machine for using Pure PVC or soft & hard PVC leather that contain over 30% PVC, PU, TPU, EVA, PET, PVC transfers to genuine leather special fabric PVC materials-all of these can be processed. Stationery, Name-plate badges, Inflatable toys. Footwear, Trademark labels, Stickers, Textile fabric PVC on cloth.